Published on December 8, 2009 in News and Resources. 0 Comments Tags: christmas, christmas tree, decorations. 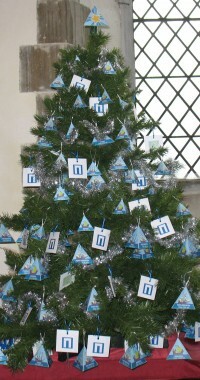 Wessex Archaeology sponsored a Christmas tree in St. Thomas’s Church, Salisbury, and decorated it with boats from the Time Travelling by Water timeline. 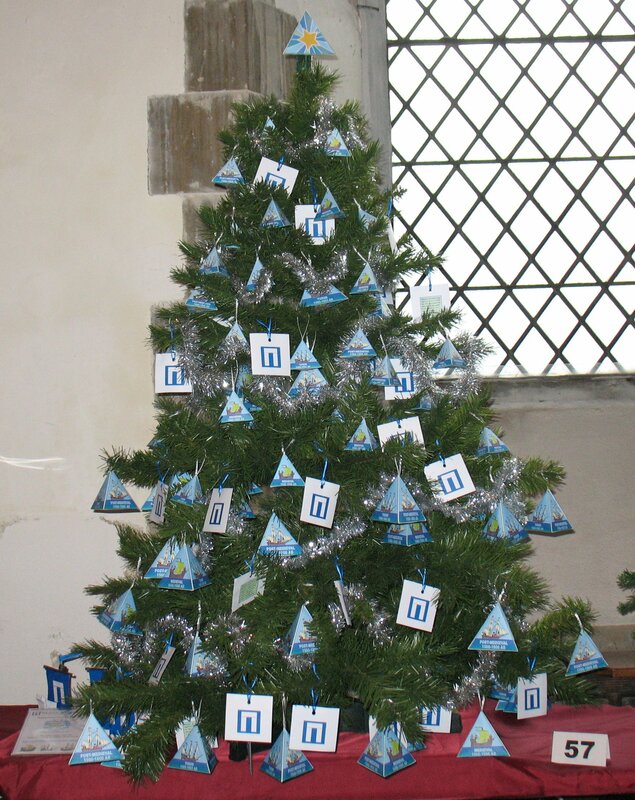 The tree added a festive air to the church from the 1st till the 6th of December and stood alongside 114 other trees, all of which had been sponsored and decorated by local churches, communities, schools and individuals. The story was covered by BBC Wiltshire. The Wessex Archaeology tree is now on display in our head offices in Salisbury. To download and make your own Time Travelling by Water tree decorations, click here or visit the Resources page. Published on July 22, 2009 in News and Resources. 0 Comments Tags: Free resource, Paper ship model, replica boat. Visit the Resources Page to download a free template to make your own version of the Time Travelling by Water ship. It’s easy to make and requires only glue and scissors.